If you’ve got a large family and a big dog, chances are you’ll already be familiar with the VW Sharan. Introduced to the MPV market in 1995, the Sharan has been a moderately successful player in its class ever since. A major redesign in 2010 was well received (and indeed felt to be long overdue), and added new engines plus a number of useful features to this competent, practical people carrier. However steadily it sells, the Sharan’s popularity is consistently undermined by poor reliability. Conceived as a joint venture between Volkswagen, SEAT and Ford, the Sharan is closely related to the Alhambra and the Galaxy. Built in the same Portuguese factory, the three vehicles are variants sharing a platform but differing in their exterior design and pricing. Unlike the Galaxy, though, the Alhambra and Sharan perform very poorly in the UK car reliability index, with the Sharan emerging worst of all. Equipped with a choice of 1.8-, 2.0- and 2.8-litre petrol engines, the Sharan is also available with 1.9- and 2.0-litre diesel engines. Combined with a 5- or 6-speed gearbox, this engine selection powers the weighty people carrier to a top speed of 124 mph in around 12 seconds. From 2006, a flexible fuel engine was added to the range: this operates with petrol or LPG, extending the distance achievable between refuelling stops. The Sharan’s unique selling point is the ability to transport seven adults and their luggage in comfort and quiet. The 2010 redesign introduced sliding rather than hinged back doors, improving access to the rear seats. The front passenger seat can also be folded flat so that long loads may be carried. And yet with heavy steering and poor acceleration when fully loaded, the Sharan does not exactly qualify as a fun drive. Although no major faults stand out in the vehicle’s history, the Sharan’s reliability rating takes a hit due to a multitude of annoying problems and known issues. Common amongst these is the VW diesel engine’s tendency to go into limp mode, a state characterised by the sudden loss of power while driving. Power can usually be restored by re-starting the engine. Since there are a number of possible causes for limp mode, diagnosing and fixing the problem can be time-consuming and expensive, with no guarantee that it won’t recur. 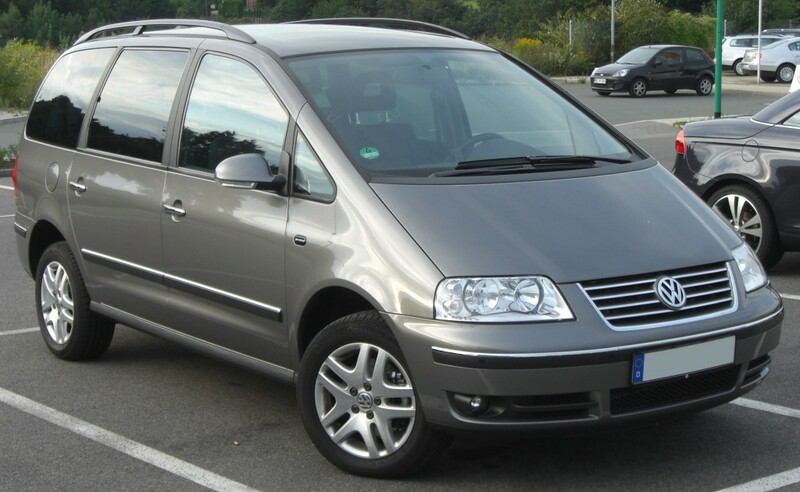 If your Sharan often goes into limp mode, you could be better off recycling it and investing in a more reliable MPV. Scrap Car Kings make it painless to scrap your VW Sharan: contact us today for a no-obligation quote.